Meet Kalvin! 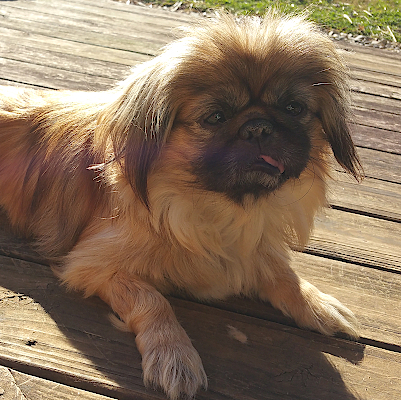 He is a male Pekingese, around 12 pounds and 8 years old but full of life! He has a sweet and playful personality, always curious as to what's going on around him. 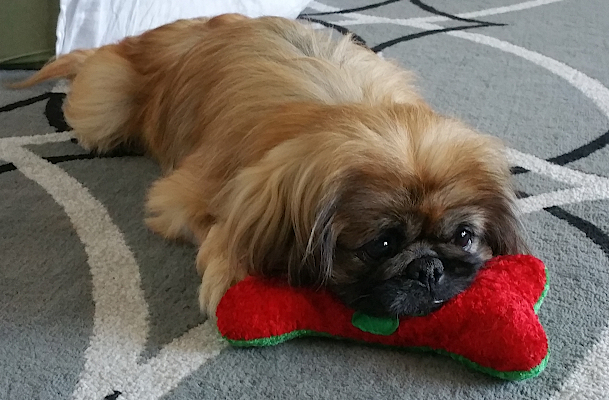 Kalvin was surrendered by his owners due to no fault of his own. He is still learning that car rides are a fun thing and a leash will not harm him. Since he was neutered later in life, he has a tendency to mark but does not mind wearing a belly band while still working on house training. He will need continued work on these things. 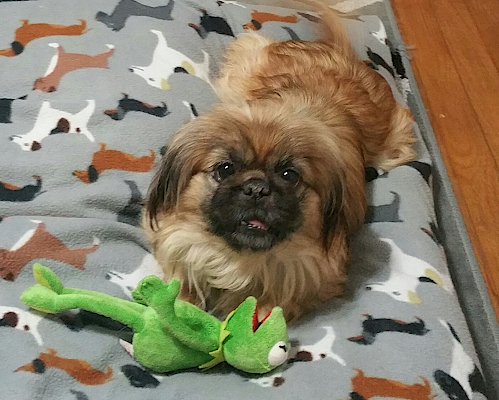 He gets along great with other dogs, loves playing with toys, and cuddling on your lap. 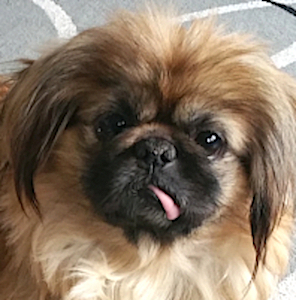 If you know anything about Pekingese, you will know they do require grooming more frequently than most other breeds given their long soft coat but he will be a good boy at the groomer's! He has not been around young children so an adult only home would be best. 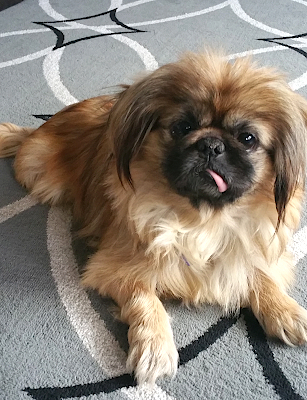 Kalvin has been neutered, is up-to-date on vaccines as well as heartworm and flea prevention. If you would like to learn more about Kalvin please contact SBRET. Kalvin‘s adoption fee is $175.